The small and very light PE70 has a 70 horsepower Ultralight airplane engine with double ignition for safety. The airboat is used both by private owners and rescue professionals. CLICK THE LINK BELOW TO BE TRANSFERRED TO OUR BOAT SITE. THIS WEB SITE WILL BE AIRBOATS ONLY IN THE FUTURE. 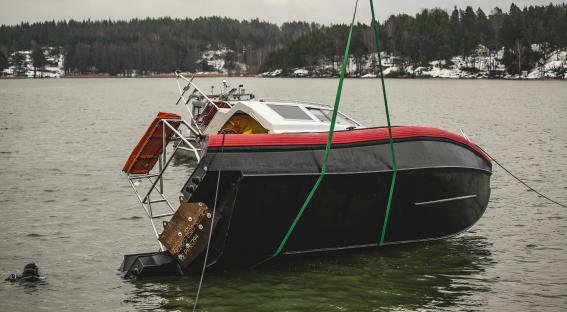 The new 9 meter SAR half open cabin boat went through a successful Self Righting Test. It took only 15 seconds for the capsized boat to turn upright and as an additional safety feature for the crew, there was a more than half a meter high air pocket inside the cabin. Ensimmäiset kevyet A4 veneet toimitettiin Länsi-Uudenmaan Pelastuslaitokselle. Veneen pituus on 4 metriä. Kantavuus 6 henkeä CE-D Koneteho 20-30 hv. Nopeus 23-25 solmua 1-3 henk. This HMWPE Rigid Boyancy Boat is a further development of the successful Panther 22 boat. 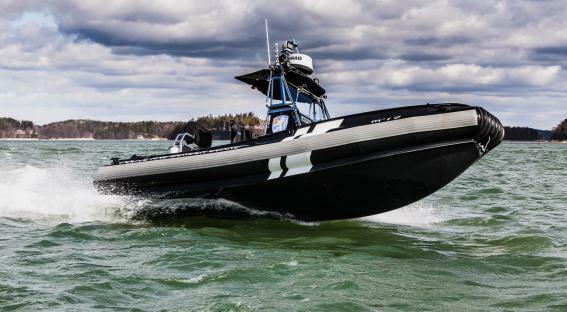 The Estonian Police & Border Guard ordered 3 boats in 2016. It is equipped with twin Mercury 115 hp Seapro 4-stroke outboards. Capacity 8 persons and speed up to 45 knots. This 28 foot HMWPE boat is built on a multipurpose hull that can be customized to everything from a patrol boat to a fast SAR boat. 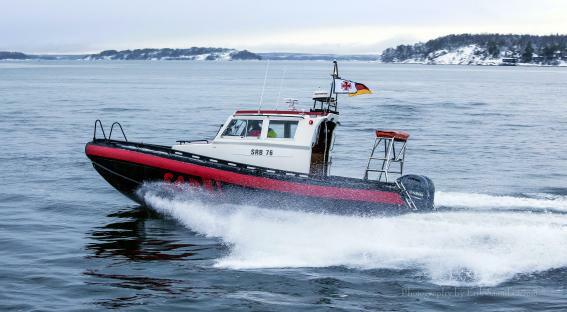 The first two boats ordered by the German Maritime Search and Rescue Service, DGzRS, and will operate in the Mediterranean by the Hellenic Rescue Team. 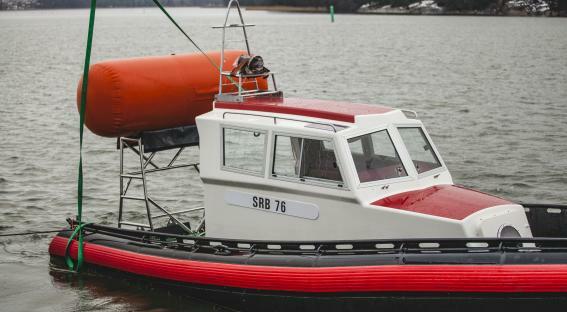 This is a new Arctic boat model specially developed for the Finnish Fire Rescue Brigades. The 4 meter boat is so light, it can be carried around by 4 people. It is equipped with a 20 hp engine and has a detachable middle seat that can function as an equipment carrying case. - Tämä neljämetrinen nopean toiminnan vene on niin kevyt että 4 henkilöä voi nostaa sen trailerilta veteen. Veneen kantavuus on 500 kg ja on tarkoitettu sukeltajan ja pelastushenkilöstön siirtämiseen onnettomuuspaikalle nopeasti, sekä öljypuomien vetämiseen. 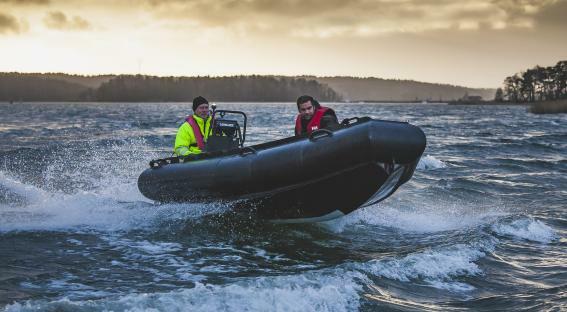 In the beginning of 2016 Arctic Airboats Ltd and HL Marine Service& Workboats started a fruitful co-operation in Polyethylene boat manufacturing. We utilize the technical know how and client contacts of Arctic and the large resources and skilled workforce of HL Marine. The result is that this cooperative partnership has led to orders of 11 RBB boats and one airboat already in the first year. HL Marine has at the same time aquired a 1,6 M Eur contract for a 25 meter workboat for the Keep the Archipelago Tidy Association. 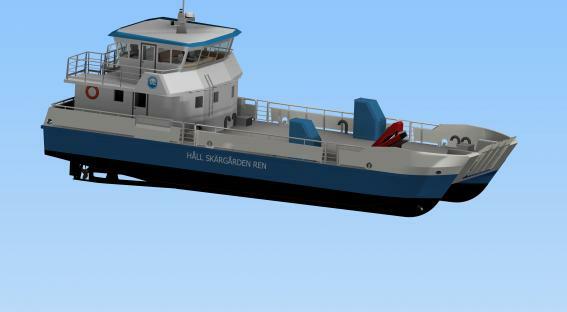 This boat will be used for collecting waste around the Finnish Archipelago. 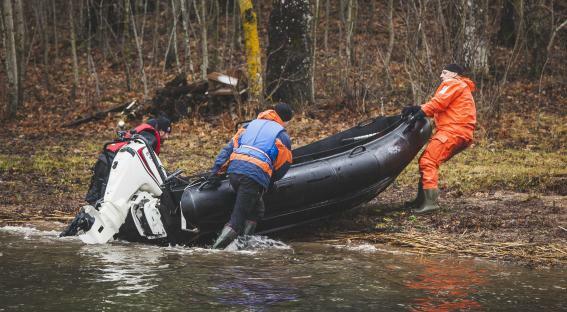 The Arctic Airboat PE100 is a new light airboat for winter rescue use. The boat is equipped with the well known reliable Rotax 912 UL 100 hp engine. It has spring suspension seats for 2 and a large deck for carrying a stretcher or rescue equipment.